The combination of a high quality and laid-back lifestyle, stunning coastline, vibrant culture and well developed cities makes study in Uruguay tough to beat. Click on the tabs below for more information about what to expect from the country, as well as information on top universities in Uruguay, fees and visas. Public education in Uruguay is completely free for citizens of the country, from childhood right up to university level. However, there is only one public university in Uruguay, alongside four private universities which charge fees. Popular subjects to study in Uruguay include law, medicine, engineering, economics and several other social sciences. Spanish is the main language of tuition in Uruguay, so a good working knowledge of the language is essential for any international students wishing to study there. A range of short-term and intensive courses are available, as well as one-on-one tuition. Four universities in Uruguay feature in the QS Latin America University Rankings 2018, all of which are in the top 100 in the region. The highest-ranked is Universidad de la República (UdelaR) at 38th, followed by Universidad de Montevideo (UM) at 64th. Close behind these top two universities in Uruguay are the Universidad Católica del Uruguay (UCU) at 81st in Latin America and Universidad ORT Uruguay at joint 86th. 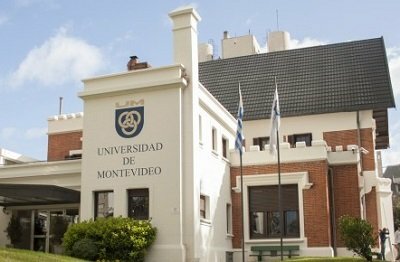 A private university based in the city of Montevideo, the Universidad de Montevideo (ranked 501-550 in the QS World University Rankings® 2018 and 64th in Latin America) is consistently named among the top universities in Uruguay, despite only becoming legally accredited as a university in 1997. Offering seven departments including management, economics, law, humanities, engineering and biomedical science, the university welcomes international students and has partnerships with universities the world over. Partnered institutions include Brazil’s Universidade de São Paulo, Canada’s University of Ottawa and Australia’s La Trobe University. The only public university in Uruguay, the Universidad de la República was established in 1849 and is currently ranked 701-750 in the world and 38th in Latin America. As well as being significantly older than the Universidad de Montevideo, it’s also much larger, with a student body of almost 110,000 across a number of schools and institutes. Most of the Universidad de la República’s buildings and facilities are located in Montevideo, including the law school and departments of veterinary medicine, medicine, engineering, chemistry and the humanities. 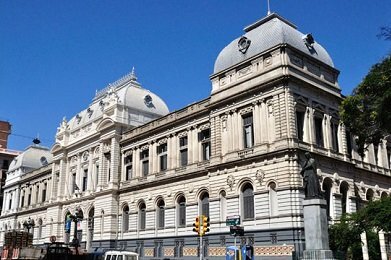 Tuition is free for Uruguayan citizens. 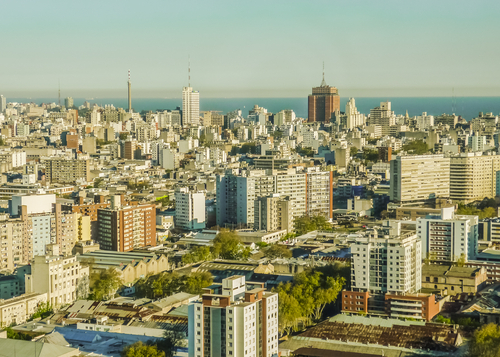 A highly urbanized country, with 80% of its population based in cities, Uruguay is known for its relatively high quality of life and well-developed education and social security systems. 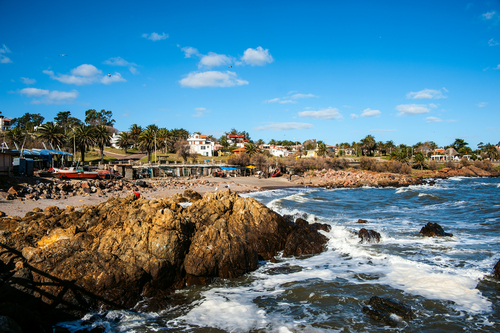 It’s a popular destination for tourists, with towns like Punta del Diablo, Maldonado, Montevideo and Colonia del Sacramento all pulling in the crowds – not to mention the 670km of magnificent coastline. Meanwhile, for those who stay longer, Uruguay offers a quality of life generally considered to be among the highest in Latin America. A low crime rate, laidback lifestyle, and the absence of too much red tape all make it an attractive option, as does the relatively low cost of living. Uruguayans are warm and friendly towards foreigners, and if you're in the mood to let your hair down, a surprising array of nightlife awaits you. Uruguayan folk music is popular, played on the guitar, accordion and drums, as well as traditional genres such as the tango and candombe – both recognized by UNESCO as important parts of the Intangible Cultural Heritage of Humanity. Uruguayan musical culture also incorporates the colorful Carnival traditions for which much of Latin America is known, as well as more modern and international musical genres such as rock and pop. In terms of cuisine, Uruguay – like neighboring Argentina – is known for its love of beef, served up in a variety of forms. International influences are also clearly present, and Uruguayan cuisine offers its own unique take on everything from hotdogs to pasta dishes. Uruguayans love an afternoon siesta, so you’ll find another charming element of life in Uruguay is the closure of shops and offices (which open as early as 7 or 8am) for a few hours in the early afternoon. This period of peace and quiet is something you’ll soon learn to appreciate! Uruguay has a fairly consistent subtropical climate, with little in the way of regional variation. Extreme temperatures are also fairly rare (though seasons are pronounced), with temperatures ranging from 6-14°c in winter and 17°c-28c° in summer in the capital city. Rainfall is generally distributed evenly throughout the year, and humidity levels are quite high. 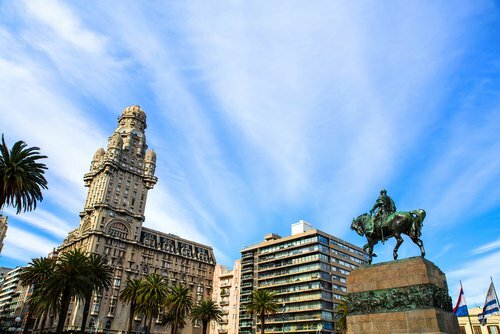 Uruguay’s capital, largest city and biggest port, Montevideo is a bustling city of diverse neighborhoods, each offering a different atmosphere and history. Ciudad Vieja, the Old Town, for example, features European architecture from the colonial period, while Pocito and Punta, popular beachside districts, offer a more contemporary South American feel with modern high rises and hordes of tourists. Life in Montevideo offers a lively and modern environment, with a high quality of life and a generally open and friendly atmosphere. 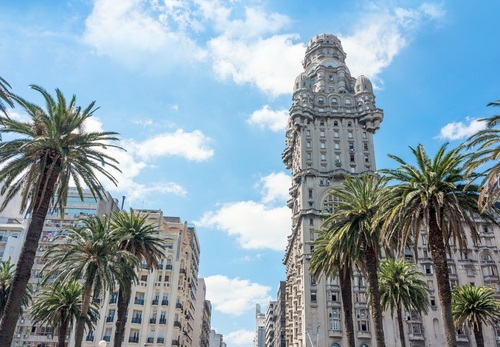 The cultural fusions of the city, combining old European heritage and South American charisma, make for a vibrant city which thrives on its diversity. Among the city’s 1.5 million residents, local traditions include tango dancing, candombe drum music, murgas (carnival) celebrations and mate (tea) drinking rituals. 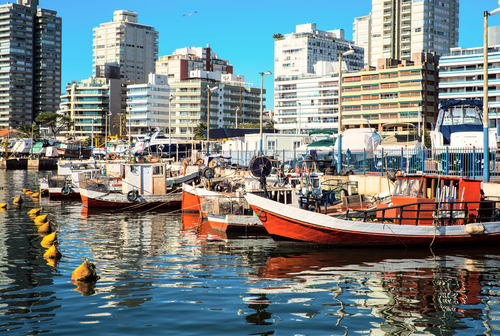 Just a short drive from the capital, you’ll find Colonia del Sacramento, a UNESCO World Heritage site, and Punta del Este, a famous coastal resort. It’s also fairly easy to travel to other major cities across South America possible, with countries such as Argentina, Brazil, Chile and Paraguay all within a few hours’ drive. As is common in the Southern Hemisphere, the academic calendar in Uruguay runs from March to April. This means that application submissions will need to be made approximately between September and December, dependent on the institution. Admission requirements vary between universities, so always check the program details to see if you are eligible. To apply, you’ll generally be asked to submit a completed application form, a valid ID, a copy of your passport, academic references (for graduate students), a certificate of prior qualifications and proof of proficiency in Spanish. 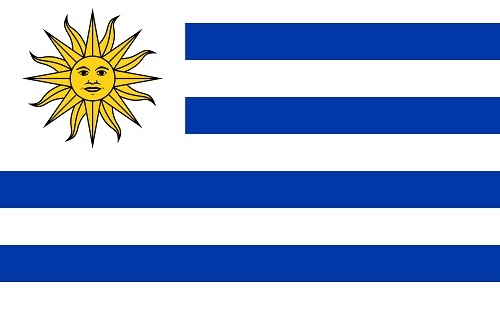 International students entering Uruguay for undergraduate or graduate programs require a student visa. To apply for this, you’ll need to provide a valid passport, an acceptance letter from a recognized Uruguayan university, passport-size photographs, a completed visa application form and in some cases a medical report (necessary for nationals of some countries). You’ll also need to prove that you have enough money to support yourself during your stay. Contact your nearest Uruguayan Embassy for advice on your visa application, and take a look at our general advice on getting a student visa. Although citizens of Uruguay receive free public education, international students aren’t quite as lucky. Fees for overseas students vary between institutions, so you should check with the university in question for precise figures. As an example, at the Universidad ORT Uruguay, fees are between US$2,770 and US$5,000 per semester (two semesters in a year), with the exact price depending on the number of subjects you study.